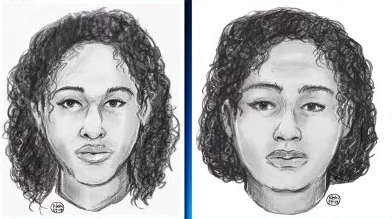 NEW YORK -- Police are investigating the mysterious deaths of two sisters from Saudi Arabia whose bodies, bound together with tape, washed up on New York City's waterfront last week. The sisters, Tala Farea, 16, and Rotana Farea, 22, were discovered on a bank of the Hudson River. The sisters' bodies were taped together and facing each other, but had no obvious signs of trauma, police said. They were both fully clothed when they were found on the Manhattan shoreline, about 225 miles from Fairfax, Virginia, where they lived and were reported missing in August. Their mother told detectives that the day before the bodies were discovered she received a call from an official at the Saudi Arabian Embassy, ordering the family to leave the U.S. because her daughters had applied for political asylum, New York police said Tuesday. "We do not know that a crime took place," NYPD Chief of Detectives Dermot F. Shea said the day after the bodies were discovered, The New York Times reported. "We have a terrible tragedy for sure." Police initially released sketches of the two women. On Wednesday, once their identities had been determined, the NYPD released their passport photos. The medical examiner's office was investigating the cause of death. The lack of obvious trauma appeared to rule out a theory that they jumped into the river from the George Washington Bridge. Tala and Rotana moved to the U.S. from Saudi Arabia with their mother in 2015, settling in Fairfax, a suburb of Washington D.C., police said. Rotana was enrolled at George Mason University, but left in the spring. Police said the sisters left their family home and were placed in a shelter after an earlier disappearance, in December 2017. They were reported missing again on August 24. Police initially struggled to identify the bodies as much of the city and the country was transfixed by another mystery: the package bombs sent to more than a dozen prominent Democrats and critics of President Trump.